This is a sponsored post written by me on behalf of Success® Rice. They knew a busy mama like me can always use a few shortcuts in the kitchen. As always, my opinions are 100% my own, and yours may differ. 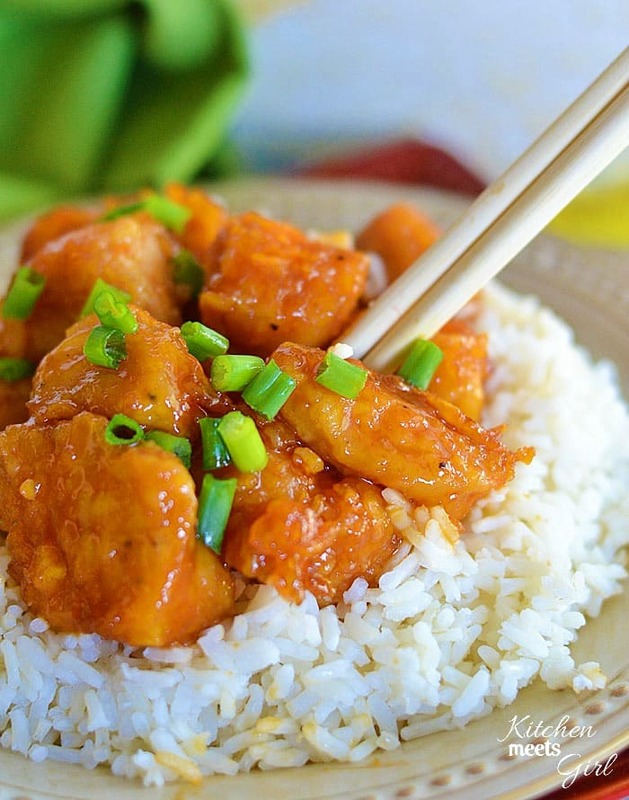 This Firecracker Chicken is the perfect mix of spicy and sweet and beats take-out hands down! Pin it NOW to save if for later! This Firecracker Chicken might possibly be my favorite dinner ever. I tend to feel that way each time I make a new Asian-inspired chicken and rice dish, but this one might really be it. 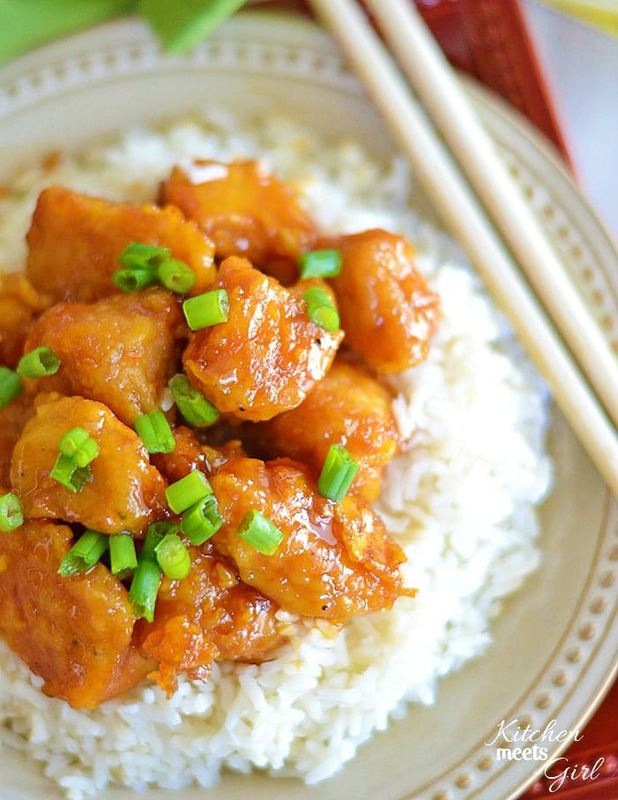 Sticky, sweet and spicy, this dish has the perfect blend of flavors. 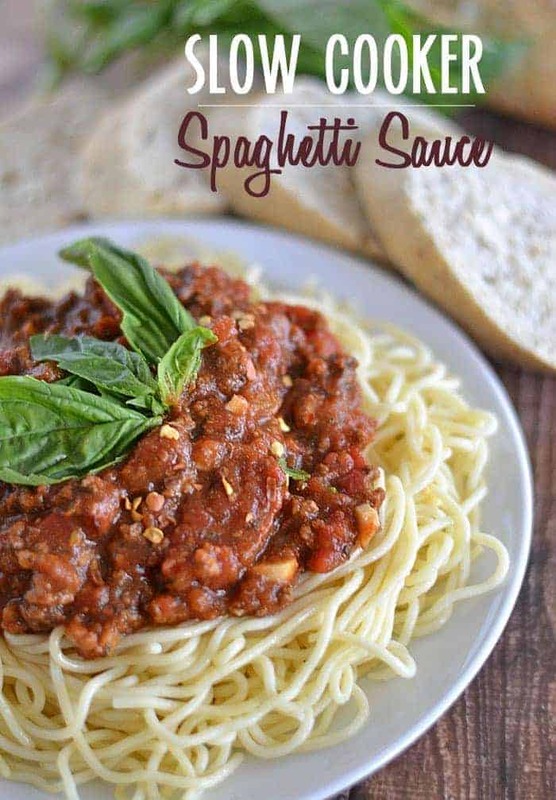 We love spicy foods at my house, and this recipe completely fit the bill. You can certainly adjust the spiciness-level based on your own preferences by adding a bit more brown sugar. Or by serving it with a huge pile of white rice. Typically we prefer brown rice at my house, but in this particular dish, I didn’t want the nutty flavor of brown rice competing with the flavors in my sauce. The pairing of white rice with the sweet and spicy sauce was perfect. Like most of you, I’m usually in a rush to get dinner on the table, and once of my favorite shortcuts is using boil-in-a-bag rice. It’s so simple and easy – and Success Rice cooks perfectly every time and is ready in less than 10 minutes. It’s foolproof, is what I’m saying. I don’t know about you, but foolproof is kind of a necessity in my kitchen. While my chicken was in the oven, I boiled some water and cooked my rice…then left it covered on the stovetop for nearly half an hour while waiting for the chicken to finish baking. Even after that half hour, the rice was still fluffy and perfect. Seriously guys, better than take-out. Heat the oil in a large skillet over medium heat. Cut your chicken into 1-inch pieces while the oil heats. Season the chicken with salt and pepper. Place the cornstarch in a gallon-sized ziploc bag, and add the chicken and seal, tossing to coat. Whisk the eggs together in a shallow bowl. Dip the coated chicken pieces into the whisked eggs, and place them in the hot skillet. Cook the chicken pieces for 1-2 minutes on each side, cooking until just browned. Place the chicken in a single layer in a 9x13 inch casserole dish. Mix the hot sauce, brown sugar, water, vinegar and salt in a medium bowl and then pour over the chicken in the baking dish. Bake for one hour, turning the chicken once to coat with the sauce. Serve over hot, white rice. Success® Rice is the ORIGINAL no mess, no measure boil-in-bag rice that cooks perfectly every time and is ready in less than 10 minutes. The white and brown rice can sit for up to 30 minutes before being served, making it foolproof. You can visit www.successrice.com and Like the Success® Rice Facebook page for recipes and tips on how to make meal times easier & more fun! 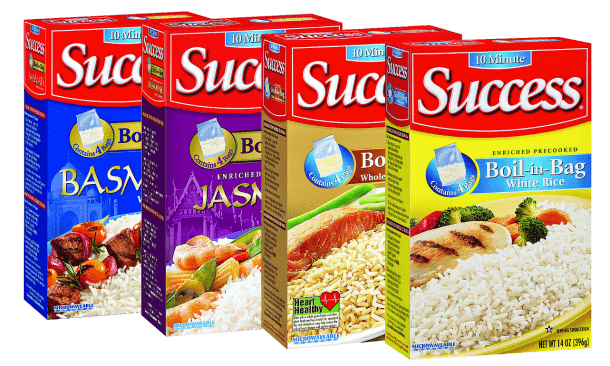 With 4 varieties available including: Success® Whole Grain Brown Rice and Success® White Rice, and globally-inspired aromatic varieties of Success® Rice, including fragrant Thai Jasmine or Basmati Rice, there’s a variety everyone in your family will love. Try your own twist on one of your favorite recipes by swapping an aromatic variety into some of your go-to rice dishes. To accommodate various households, Success® Whole Grain Brown Rice and Success® White Rice comes in two different sizes – 14 oz. or 32 oz. You might like these, too! Oh my gosh! I’ve made this chicken 2 times and my family loves it. One of my sons even asked if someone witnessed me making it because it was so good. He thought I might have bought it and passed it off as my own! I like to add a cut up green and red peeper to it while it is baking. It it sooo good! Isn’t this the best??? I love the idea of adding the peppers – yum! Gosh, if you’re going to add pepper, you might as well add some onion, carrots and/or even pineapple and make a spicy variation on sweet and sour chicken. Can I make this recipe without cornstarch? I love this recipe!! SO delicious Ashley. I need to make more asian food at home. Honestly, I want this for breakfast, is that wrong? It’s beautiful!! Haha, I could definitely eat this for breakfast! Thank you, Sally. We love spicy foods also – and this is a new family favorite. You should definitely make it for Kevin! This looks great and I love when things turn out better than take out! Thanks, Julie! We really try to avoid take-out when we can, and this recipe is definitely a keeper. I’m right there with you, Becca – we love Franks! It was perfect in this recipe! Success used to be the only rice I used. So quick and perfect rice every time. The chicken sounds awesome, I will have to give it a try! Terry, I think you would love this recipe! And yes, the Success Rice is such a snap to make and it turns out so well – I like easy! This dish will be a huge hit at my house! Love the flavors! I like the way this sounds… my boyfriend will love this! yum! My hubby would love this!! I might just have to make this for him sometime soon! Could you recommend an egg substitute? We have egg allergy and many nut, seed and dairy allergies. Hi Kristina – I haven’t tried it personally, but you could try using lactose free milk or soy milk. If you do, let me know how it turns out! For Kristina: I make our fried foods with a mixture of cornstarch, flur and a little cornmeal. I only use eggs when making chile rellenos. Ihope this helps. 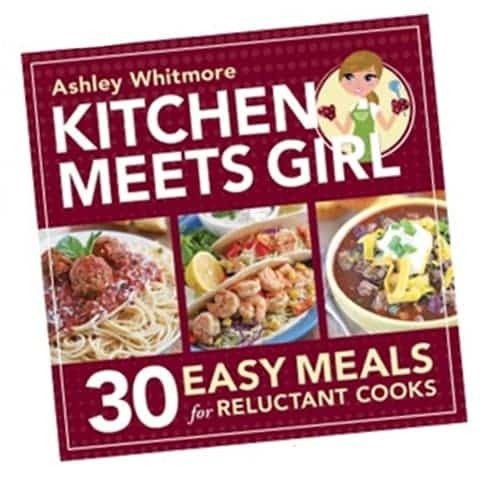 For Ashley: Thanks so much for this terrific recipe. Hubby loves the sweet Asian foods. We make ours with coconut sugar or nectrese because we are diabetic. I add a little arrowroot or cornstarch to the sauce to thicken it since we don’t use sugar. I have often used soy milk in place of cow’s milk in recipes calling for milk with great success. I have not been able to notice even a slight difference. You may want to try almond milk or rice milk too. I make my own soy milk at home and it is very different from commercial brands from the markets. It is thinner and tastes beanier but with no additives and a fresh clean taste it is delicious. You can do the same with chick peas, mung beans, various nuts and grains. Try making some oat milk, it is great sub for cow’s milk. They are easy to make. Some beans and grains have to be cooked to be able to digest them properly and some can be made from raw ingredients. I know success rice is convenient and wonderful especially when you are in a hurry. If not I dry roast my rice in a pan on the stove until it turns opaque. This converts the rice making it fluffier and it seems to not raise our blood sugar as much. Then I cook it as usual. Of course, this takes much longer as I mentioned. I hope these tips help. Wow – thank you so much for all of the wonderful information! We eat a lot of rice around this house and i’m always looking for a new recipe. 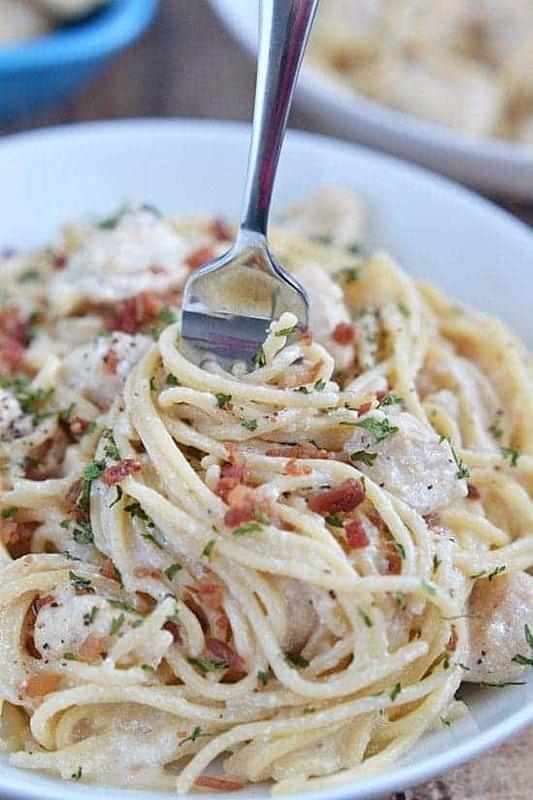 I may be making this for dinner tonight! Thanks! I hope you like it, Melissa! It’s one of our new family favorites. We have had this inspired meal twice now…. it is approved by everyone in my family of four!!! Not always an easy feat! I did have to switch it up a bit…. by husband does not like the flavor of the hot sauce… so I used an Asian garlic chile sauce (still has heat) & added soy sauce instead of vinegar. Then served with sticky rice. This chicken is so wonderfully tender!! Ooooh, your version sounds great, Jeananne! I always consider it a success when I can get everyone in my family to eat (and like) the same meal! I absolutely loved this…. a few in my family thought it was too spicy (crazy!). How would you suggest cutting the spice without making it too bland? Thanks! Hi Tiffany! While I haven’t tried it in this particular recipe, I think buffalo wing sauce is a bit milder than regular Red Hot, so you may try substituting that. You may also add in another 1/2 cup of sugar to tone down the spice but keep the overall flavor. I hope this helps – if you try it again, let me know how it turns out! I have been excited to try this recipe since i saw it on pinterest the other day. I already bought several of the ingredients for a bourbon chicken recipe. (http://www.bigoven.com/recipe/201809/Bourbon-Street-Chicken) I hate to be one of those people that comment without having actually made the recipe; and better yet, someone who comments asking to modify the recipe before making it! 🙂 Your pictures are gorgeous, especially with the egg dipped chicken pieces. But the only ingredient I don’t have is egg, and that’s because I’m not a fan of eggs and never have it in my fridge! I’m planning to omit the egg, and saute the chicken in a little cornstarch, and then either let the sauce simmer on the stove top with the chicken to let it thicken, or try baking it. Will let you know how it turns out, if you’d like! I’d love to hear how it turns out, Lauren! Please keep me posted! Question? I am not familiar with Frank’s Hot Sauce. Is it a red pepper type sauce like Tabasco? Hi Kay. Yes, Frank’s is very similar to Tobasco, although I believe it also contains a bit of garlic powder as well. Made this for my guys a few days ago, and they RAVED about it!! Thanks a bunch!! So glad you all liked it! It’s one of our favorites! Thanks so much for stopping by! This is amazing! I’ve made it twice this week…instead of white rice I made fried brown rice and pored the sauce over it….delicious! Omg this is amazing!! I never really comment on blogs but I had to tell you how fantastic this meal is. Will definitely make this one of the faves! Thank you! Adding the different ingredients we were reeeally skeptical as to how it’d turn out but it was GREAT ! Felt like home-made take-out! Made this dish for tonight’s dinner and it was a big hit. It was a change from just making the spicy chicken wings with the Frank’s Hot sauce/butter mixture. I did the rice and a stir fried broccoli,carrots,green onion and garlic on the bbq burner. I have already printed it and put it in my recipe binder for my favourite “go to” recipes. Hi, I was wondering about something…usually, I put the chicken into the cornstarch, then into egg, and then back into cornstarch. It makes it too thick and crunchy, but I’m scared to do it the way it says on here. Doesn’t the egg fry in the oil if you put the chicken into cornstarch and then into egg and then into oil? I’m about to make this and I really want to do it the right way. What is the texture of the chicken like before the sauce goes on it? I was wondering the same thing. I’ve never heard of it being done that way, it seems like it’s backwards! I hope someone answers this quickly! 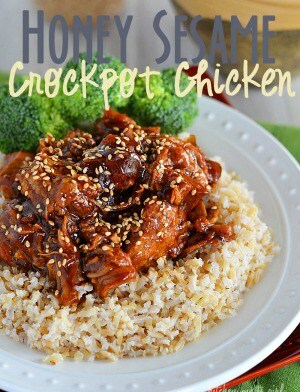 Hi there, any tips for converting this to a slow cooker recipe? I’d be totally fine not velveting the chicken if I can pop this in the crock pot and go. I’m always wary of liquid ratios when trying to convert to the slow cooker. I’ve made this (in the oven) with a ton of different veggie variations and its always fantastic! The chicken is good but next time I am going to omit the cornstarch. It’s not really necessary IMO and you do use a lot of it when you make this recipe. I made it for my 2 kids ages 6 and 9 The six year old said it was too spicy. My 9 year old ate it but said it was a little too spicy as well. I am going to add less buffalo sauce next time and and veggies. The food looks great, but the rice looks broken and soft. If you’re looking for convenience, why not just buy a rice maker? They’re not very expensive, and you’ll be able to have rice all the time, since they keep the rice good inside for up to two days. I wonder if you could use shrimp for this, my hubby is a pescatarian. I tried out this recipe and after doing this a couple times I have a question. Is baking it really necessary? After all, you could dip the chicken in the egg wash and cornstarch and deep fry the bits until they’re done. Then toss them in the hot sauce mixture so that the pieces have a crunchy texture to them. Do you also have a recipe for Firecracker Shrimp? 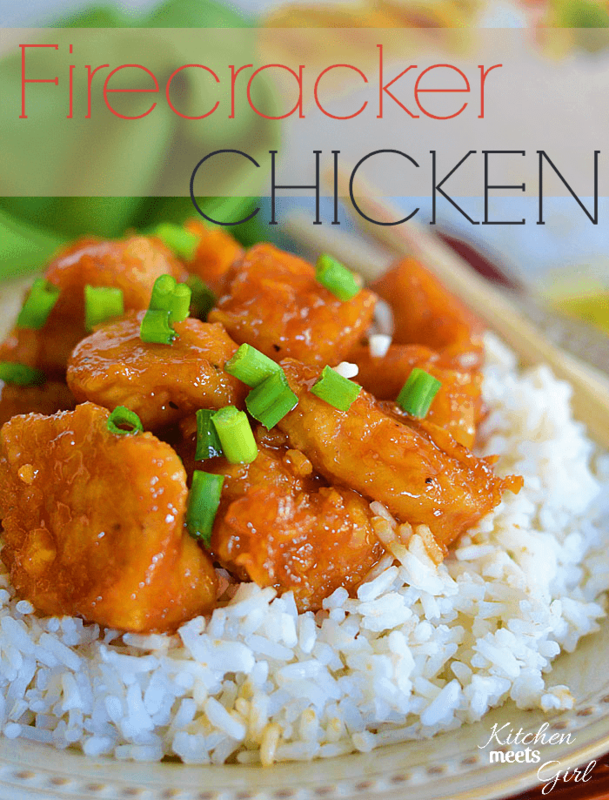 I have made your Firecracker Chicken, and it it TO DIE FOR!!!! My fiancé said that only his mom knows how to cook chicken perfectly….untill he ate this dish!! He’s now always begging for it, and is trying to steal the recipe for his mother to make… NO WAY!! 🙂 Thanks so much Ashley!! I made this dish tonight for my brother and I tonight and there are no words. Followed all of the steps except for adding the sauce when baking and I also don’t think they need a full hour. Maybe I cut mine smaller but they were ready in a half hour. Put them on broil for 5-7 minutes after to add some crisp then tossed them in the sauce after they cooled a little. I can’t thank you enough for this recipe.. It is amazing. This going in must-have-recipe book immediately and for sure will become a staple in my house. Absolutely delicious. I Just tried your Firecracker Chicken and loved it. I didn’t have any Hot Sauce, so I used Franks’s Buffalo Wing sauce instead and I don’t think I could have loved it anymore. Buffalo Wing sauce has so much more than just pepper flavor and heat. Highly recommend using it. I doubled the sauce because for my husband, food is only an instrument to get the sauce and condiments to his mouth. Very good. Thanks for sharing the recipe. New to this website so I’m looking forward to trying this recipe. Awesome easy recipe. I added poultry seasoning and garlic powder when I was seasoning the chicken. I eye balled the measurements for the sauce and added regular sugar since I didnt have enough brown sugar. Also added broccoli and onions which I tossed in melted butter and black pepper. I also put in minced garlic. Came out yummy. Hi there, simply turned into alert to your blog via Google, and found that it’s really informative. I’m going to watch out for brussels. I’ll appreciate should you continue this in future. A lot of other folks can be benefited from your writing. Has anyone ever used boneless chicken thighs instead of breasts? I made this last night and it was AWESOME! It kind of reminded me of general Tso’s chicken, which is why I am asking about the thighs. Any thoughts? Double the amount of sauce and use Stevia brown sugar blend in place of the brown sugar. 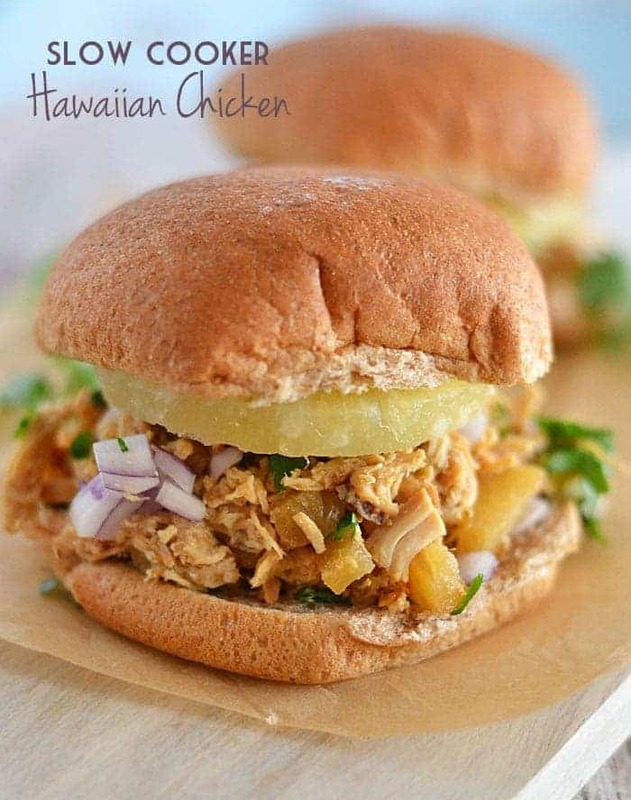 Then, Just before serving, add one can of pineapple chunks (drained) plus 1 bell pepper chopped in big chunks and one medium white onion chopped in big chunks. Yumm! Just looking at your pictures I’m drooling 🙂 Gorgeous photography and great recipe! What’s in the Hot Sauce? Interestingly enough, I didn’t grow up with an interest in cooking. In fact, I informed my mother on multiple occasions that I was not getting an advanced education so I could spend my evenings preparing meals. 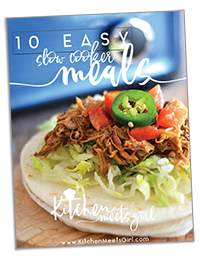 Grab your FREE 10 Easy Slow Cooker Meals E-Cookbook! AND...never miss a meal! 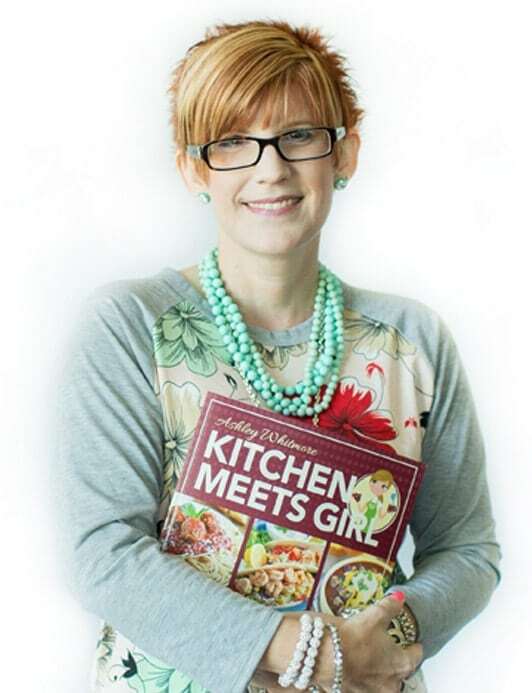 Sign up to have successes from my kitchen delivered straight to your inbox...it's FREE!